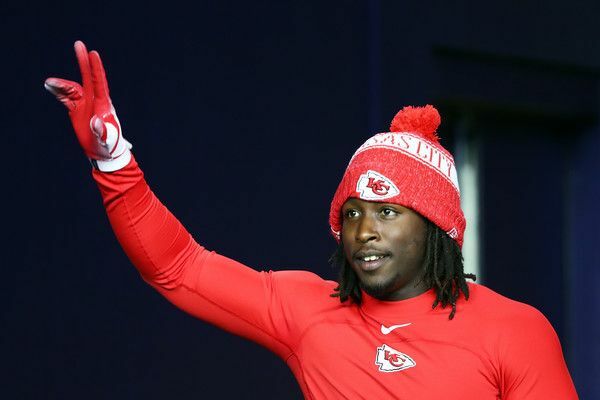 UPDATE: The Kansas City Chiefs have cut Kareem Hunt. The team issued a statement saying that after viewing the surveillance video, they've determined Kareem was "not truthful" in their previous discussions about the altercation. Kareem Hunt, pictured above on the field last month before a game against the Patriots, got into a gross altercation with an unidentified 19-year-old woman back in February. TMZ posted the surveillance footage today after law enforcement submitted this footage to prosecutors. Just before 3:30 AM on February 10, 2018, in the hallway of The Metropolitan 9 hotel in Cleveland, the star Running back is seen arguing with the woman. Kareem is seen shoving the woman, she strikes him back, another man gets between them, and ish gets extra crazy. Kareem - who is a 2017 Pro Bowler - lost his temper even more, shoved both the male and the woman into a wall before they both fell and looked dazed. Kareem walked over to the woman and kicked her while she was on the ground. The NFL, though, was well aware of the whole situation since police were called and reports were filed. The story hit the media right after, even though cops did not arrest Kareem. The site states no charges were filed because "officers say they were unable to determine if a crime had been committed." It's unclear if the NFL sought out video then, but we do know coaches and the like said at that time they had all intentions of Kareem playing throughout the season. Both Kareem's friend - who was there - and the woman who was hit were on video giving their sides of the story. Kareem's people claim she she was asked to leave and she called them the N-Word and hit one of Kareem's female friends. The woman claims Kareem kicked her out of his room after she refused to hook up with one of the guys in Kareem's entourage. 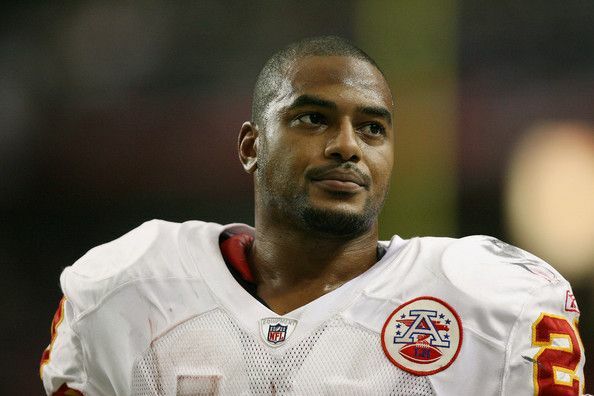 ESPN's Dan Graziano now says Kareem has been sent home from the Chiefs' practice facility. The RB will likely be placed on the commissioner's exemption list and won't be playing in this Sunday's game against the Raiders. Sound a bit similar to the Ray Rice situation? Yup. In a rare occasion, another (former) NFL baller dragged him for absolute filth for his actions. A former baller who regrettably committed horrible acts of violence - which resulted in four arrests over a 10 year period - against women during his active days as well. "I thought I made my mistakes painfully clear!!!! I thought I was a perfect example of what NOT to do!!!!" "I thought by speaking aloud about my pitfalls that players after me could see these situations before they’d happen. REALLY F*CKING UPSET KAREEM." We really wish these professional athletes, and all men, choose who they want to get sloppy and sleep around with more wisely if non-brutal interactions with women are such a constant "problem" for them. And we wish they would all learn to de-escalate situations instead of getting physical with women.